ZL mould is a professional plastic crate mould supplier from China. We have a group of experienced mould designers and mould engineers who always provide the best solution for our customers. We are always waiting here to serve you. Welcome to contact me on WhatsApp: 86-13906582915. 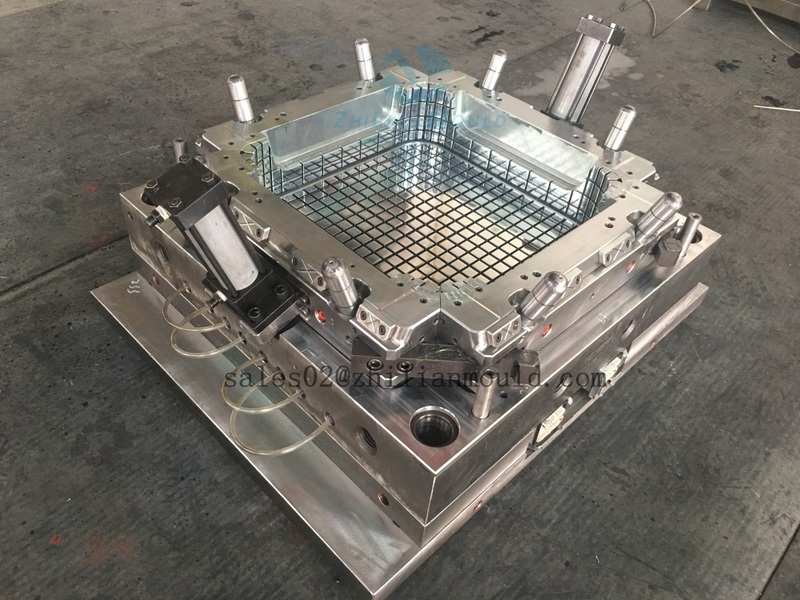 Zl mould have rich experience on making different plastic crate mould, such as plastic bear bottle crate mould,plastic fruit crate mould,plastic crate mould with cover,plastic folding crate mould, industries crate mould,plastic fish crate mould. If you have any new mould projects need development,welcome to contact me. In order to be professional China injection storage crate mould factory and plastic product production line, Zhilian Mold has imported various high speed, high precision CNC milling machines from European, in which 5 axis Fidia CNC milling machine from Italy has become the main processing machine; establish dust-free injection molding workshop for plastic product production line; the branch company Dakumar Machinery has manufactured 50ton to 4000ton injection molding machines for the plastic mold test and injection molding production line. Copyright © Please mark the original information when reserved!